Gryphon Headline wards off electrical interference by optimising crucial parameters such as capacitance, inductance and resistance, all of which are reduced to the lowest practicable levels. Low-dielectric-constant insulating materials and the cable’s inherently low impedance minimize the noise absorbed – and radiated. 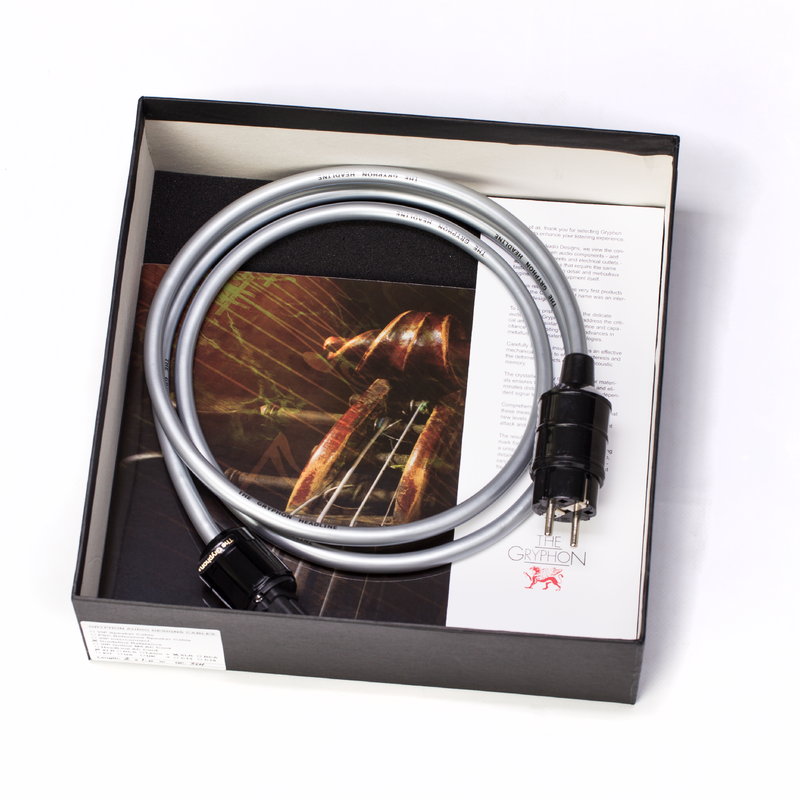 Curiously, exotic cables continue to be regarded in wide circles as beyond the outer limits of hi-fi tweakery. Animosity toward the very concept of audible differences between wires sometimes becomes so heated that threats of legislation to outlaw the sale of such products have been put forward by seemingly rational individuals. Specialist power cables are a particular object of derision based on the specious argument that the final few meters of cable between the wall socket and your equipment can only have minimal impact compared to the many miles of cheap, thin, aging wire between your home and the power station. If we all could actually see the field of mains-born noise, harmonics and Radio Frequency interference that hangs like a thick electronic haze over the domestic environment, there would be no further debate on the need for serious measures to counteract these forces. Radiated electrical interference originates in neighbouring residences and industry as well as within your own home from sources such as electrical appliances, fluorescent light fixtures, computers, etc. The rapidly increasing number of digital audio and video components also contributes significant amounts of noise to the domestic power line. Although outside the audible range, this interference modulates audio circuits, generating distortion in the audible band. Because this intermittent noise pollution is a foreign intrusion unrelated to the audio signal, it is subjectively perceived as more insidiously degrading, an opaque veil between you and the performance. 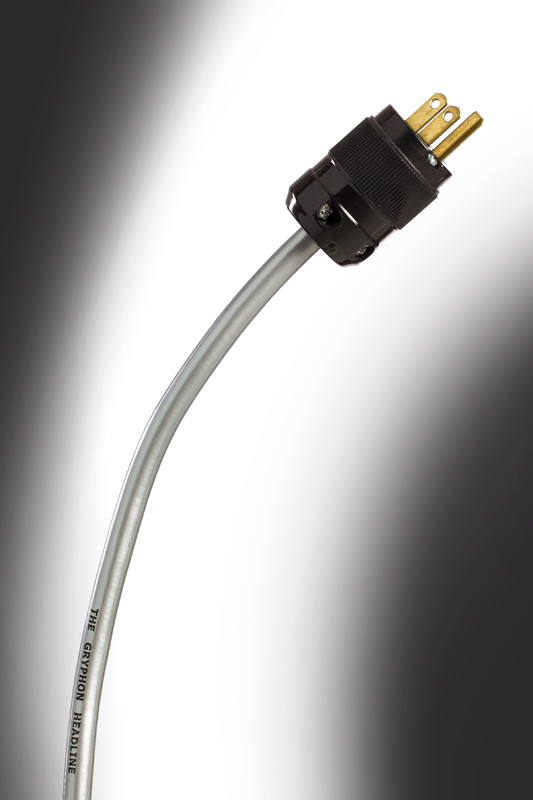 After nearly a quarter of a century at the forefront of cable development for high end audio use, Gryphon has a unique grasp of what it takes to maintain the integrity of a delicate and sensitive audio signal. 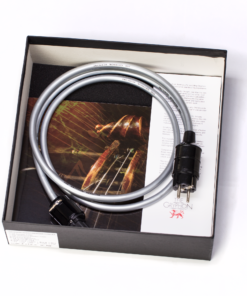 The Gryphon Headline AC Power Cord is designed specifically to be virtually immune to the transmission and reception of electrical interference. 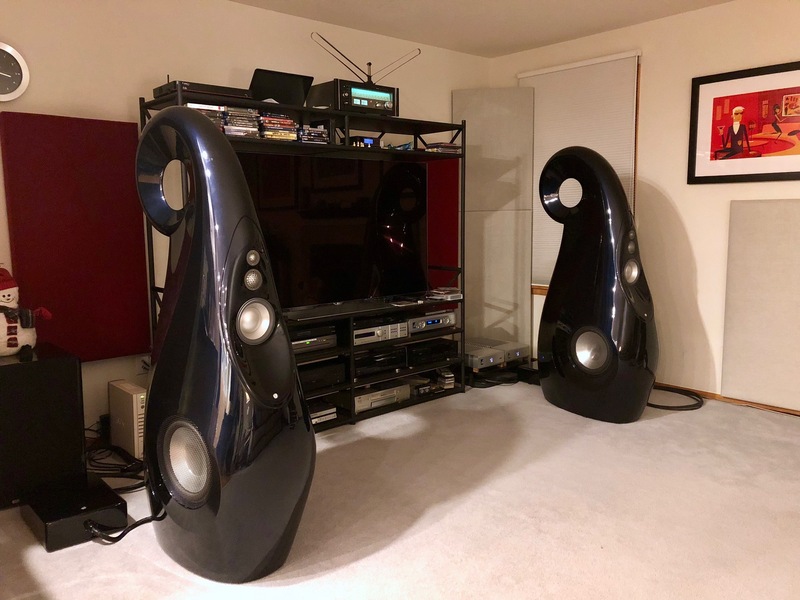 As a result, Headline audibly lowers the noise floor and removes layers of grunge, allowing you to explore the fullest potential of your home entertainment system. Think of Gryphon Headline as a firewall, shielding your equipment from the crippling influence of mains-born distortion. The haze evaporates, revealing consistently quieter backgrounds and intertransient silences for a more relaxed and organic presentation. Gryphon Headline employs three conductors, each consisting of seven tightly wound bundles of 17 strands of high-purity OFC (Oxygen-Free Copper) wire. Each conductor is jacketed in flexible abration-resistant PVC. Natural fiber pure cotton filling is then applied to reduced dielectric absorption and enhance mechanical stability. Gryphon Headline incorporates double shielding with a tight aluminum-Mylar foil wrap beneath a densely braided, tightly twisted layer of OFC. The final shrink-wrapped outer sleeve of premium, high-density PVC provides a close-fitting, yet flexible sheath for the conductors to prevent mechanically induced noise, commonly referred to as cable microphony. 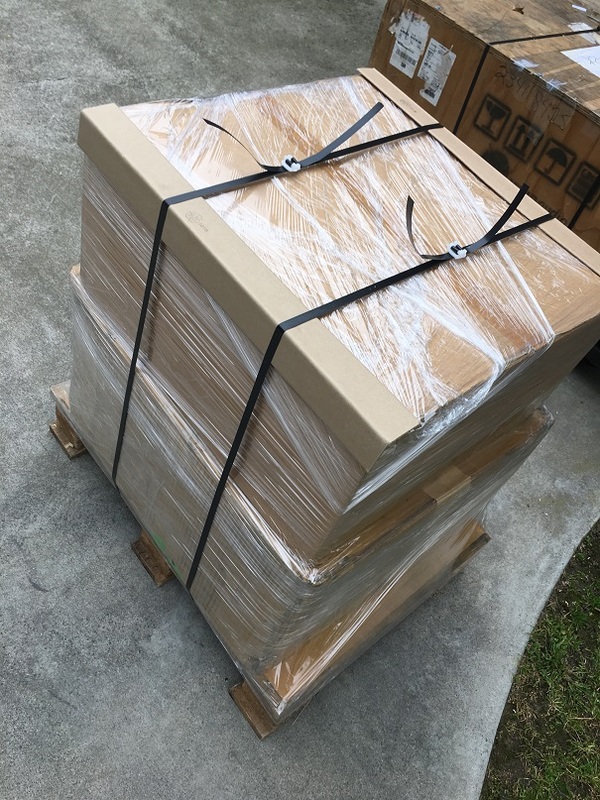 Heavy-duty IEC sockets ensure firm connection and lossless power transfer to the equipment. The multi-layered construction of Gryphon Headline exerts high uniform pressure on the conductors to effectively eliminate the “acoustic memory” of insulating materials, which in other cables causes smearing in the time domain and degraded impulse response. 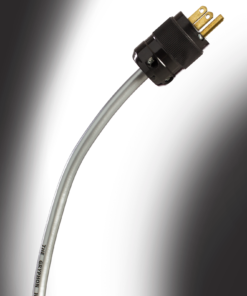 Purity of materials and rigidity of construction are the key to the effortless transparency of the Gryphon Headline power cord. With a system of even modest resolution, Gryphon Headline will contribute to a demonstrably more realistic and three-dimensional image. 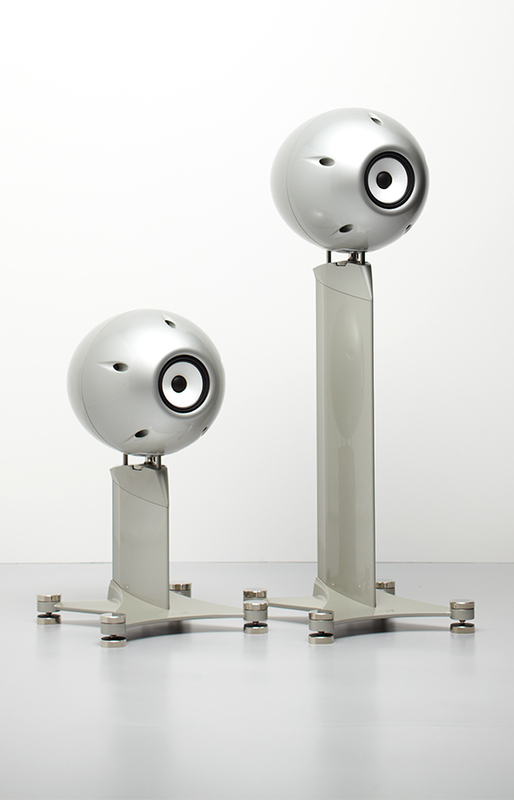 In a high-resolution Gryphon system, the added clarity and focus are even more obvious, with appreciable advances in transient crispness and dynamics for a substantially more involving listening experience.